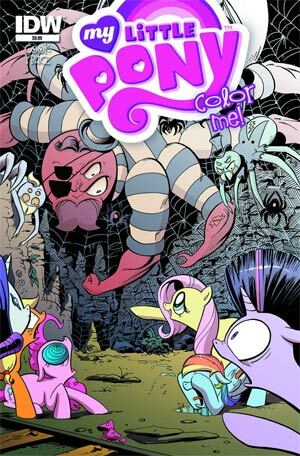 This coming June, IDW will release something new and special for the myriad fans of their very popular My Little Pony: Friendship is Magic line of comics. The My Little Pony “Color Me” Treasury Edition is a special reprint of the first issue of IDW’s My Little Pony in black and white, showcasing the inking work of artist Andy Price. In addition, this collection brings together all 48 versions (!!) of the various covers for issues #1 – #4 of the comic (the first story arc). Previews magalog has a first look at this upcoming collection.